Ground Socket Auger GSA-12 Only $18 Markers, Inc. Put this handy auger in your tool box. Can use with any standard drill. 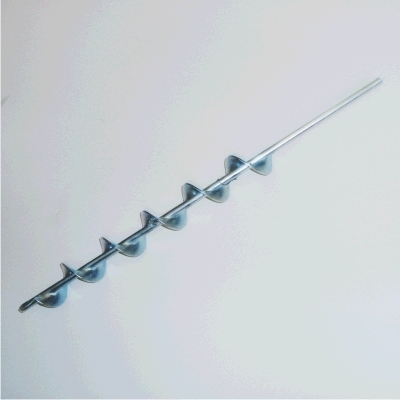 Use this ground socket auger to set your ground sockets in place even faster. Attaches to any standard drill. Size: 3/8" shaft, 1 1/4" diameter, 12" length.